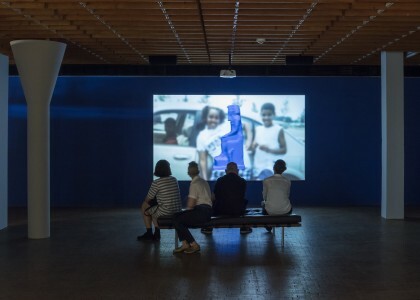 Sondra Perry makes video, computer-based media, installation, and performances that illuminate the logic and bias inherent to virtual and material power structures. Much of her work is available to watch on her website and Vimeo channel for free. This spirit of generosity is in sync with the open-access, open-source nature of the original internet. It is also in step with the ethos of the work itself: the paralleling and amplification of (often disregarded) histories and realities to reveal the shadowy corners that discriminatory and exploitative beliefs and practices inhabit. In her installation for the 10th Berlin Biennale, Perry examines the forces that produce and patrol space. 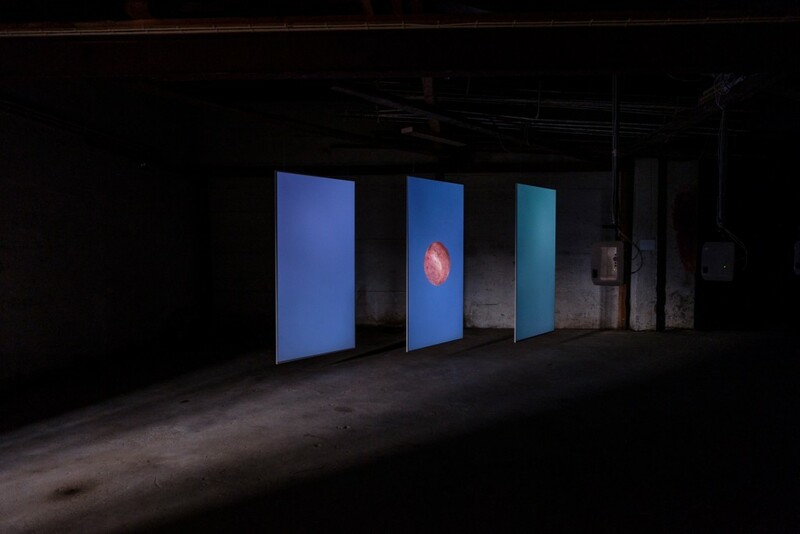 She not only asks how space reacts to subjectivities—how it marks, classifies, and reads bodies—but also how deftly certain bodies can maneuver, subvert, and transgress material and psychological boundaries. Perry explores the roots of our contemporary technological moment, as located at the nexus of alienation, blackness, forced manual labor, displacement, and violence. Her video coalesces as a study in visual ephemera of the Middle Passage, spirit possession, and metallurgy—and their associated olfactory sensations.